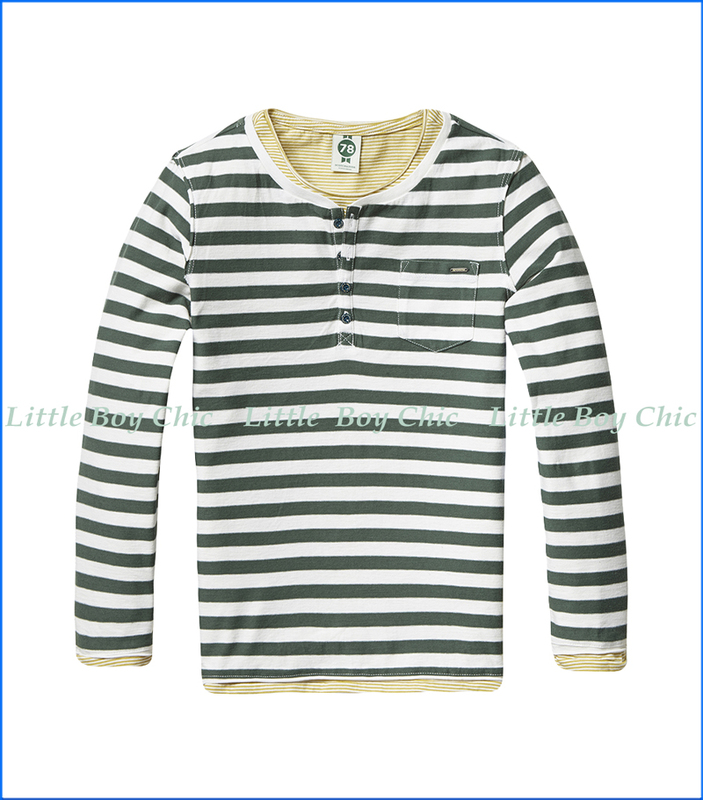 This nautically inspired, long-sleeve pull over t-shirt by Scoth & Soda is tre`s chic! A double-garment which includes two pieces that can be worn layered together or separately. 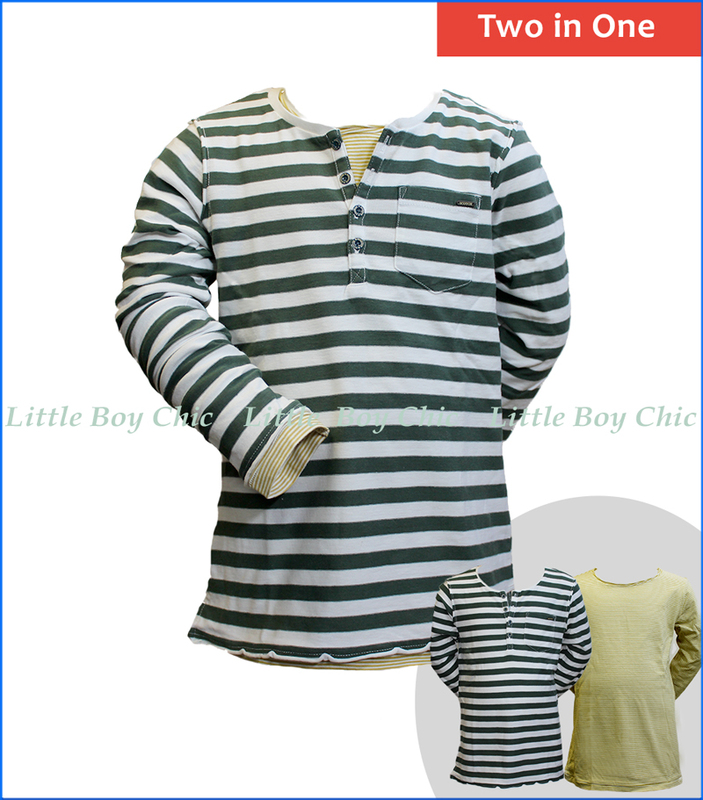 Outer layer is a stripe henley tee in green with four logo buttons. Unfinished sleeve and cuffs for a gruff raw look. Front pocket with logo plate. Split seam hem remains untucked and exposes the optional under layer - a tee with yellow micro-stripes and unfinished neck. Woven label at the seam and hem.